Women who live or work in Old Westbury have a comprehensive, state-of-the-art OB-GYN practice right in their backyard: The Westbury location of the Woman’s Health Pavilion is located on Post Avenue just south of the Northern State Parkway. Our team includes physicians and clinical support staff who have extensive training and experience in obstetrics and gynecology, and our office provides same- or next-day appointments for urgent conditions. New patients will be happy to know that our team takes pride in making everyone they serve feel like family. To meet with an OB-GYN specialist in Westbury at The Woman’s Health Pavilion, request an appointment using our online form or by calling (516) 333-1444. We look forward to meeting you. Free parking is available in the lot surrounding our building. Our Westbury location is conveniently located less than a 10-minute drive from Old Westbury on Post Avenue, just south of the Northern State Parkway. Our doctors, nurse practitioners and physician assistants treat patients like family. We attend to gynecologic conditions ranging from simple vaginal infections to complex conditions requiring a surgical solution. We perform annual well-woman exams and provide the latest birth control options. Our maternity patients receive personalized prenatal care right in our office and deliver their babies at the highly celebrated Northwell/Katz Women’s Hospital. Head southbound on Wheatley Road, continuing onto Post Road towards the Long Island Expressway. Proceed southbound on Post Road to cross over the Long Island Expressway. As you continue southbound, you will pass the entrance to Old Westbury Gardens on your right, and Westbury High School on your left. Cross over Jericho Turnpike to proceed onto Post Avenue. 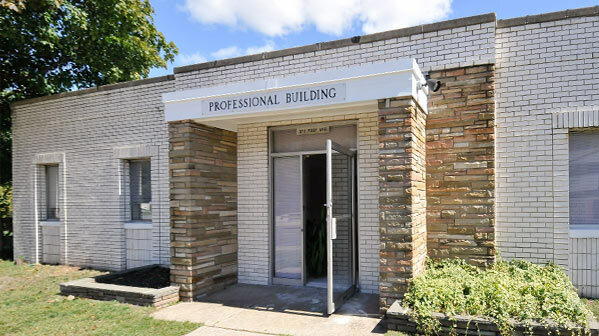 Just after passing the entrance to the Northern State Parkway, you will see our office building on the left (east) side of Post Avenue. Make a left onto Rockland street to enter our parking lot.